Cowabunga, Dudes! 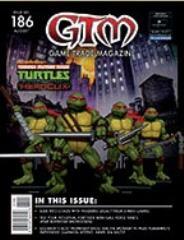 Nickelodeon’s beloved Heroes in a Half-Shell take their martial arts mayhem to the Dice Masters and HeroClix arenas! Summer Slam! Test your intestinal fortitude with WWE Superstar Showdown, Gale Force Nine's pulse-pounding game of super rivalries, super slams, and superstars! Sliding Into Chaos! Panicking is par for the course in a Pandemic Legacy campaign. Golarion's most prominent races take the spotlight in these samplings excerpted from Paizo's Pathfinder Campaign Setting, Inner Sea Races.